Earlier this week (January 21st 2019) the garden retail sector came together for a day of ‘Orse Racin’ in aid of the Greenfingers Charity, helping to kickstart the annual GCA Conference. 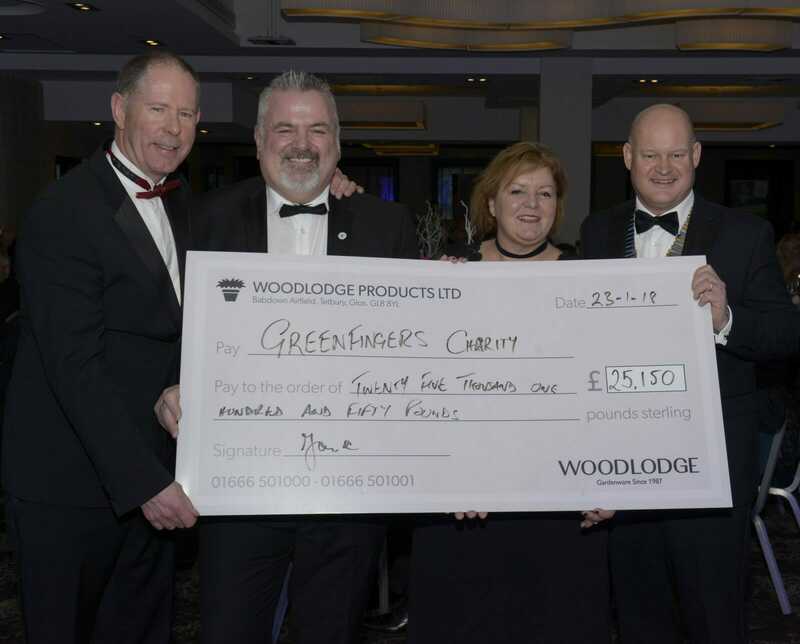 The eventual winners were Team Pansies, as announced at the GCA Awards dinner on Tuesday evening.A cheque presentation also took place, when Greenfingers Chairman John Ashley and Director of Fundraising and Communications, Linda Petrons were delighted to accept a cheque for £6,500. The amount raised for the charity was further boosted by a “shoe swap” at Tuesday’s black-tie event when Woodlodge’s Ian Flounders sold his shoes to Andrew Simpson of Simpsons Garden Centre, for a whopping £2000, bringing the total raised at the Conference to £8,500;a significant sum that will help the Greenfingers Charity to build even more inspirational gardens throughout 2019.